After a long winter, we did our first walk. We decided to go in the Hildener Stadtwald, a small forest next to our home. As it was very wet the days before, all the small ditches were full of water. 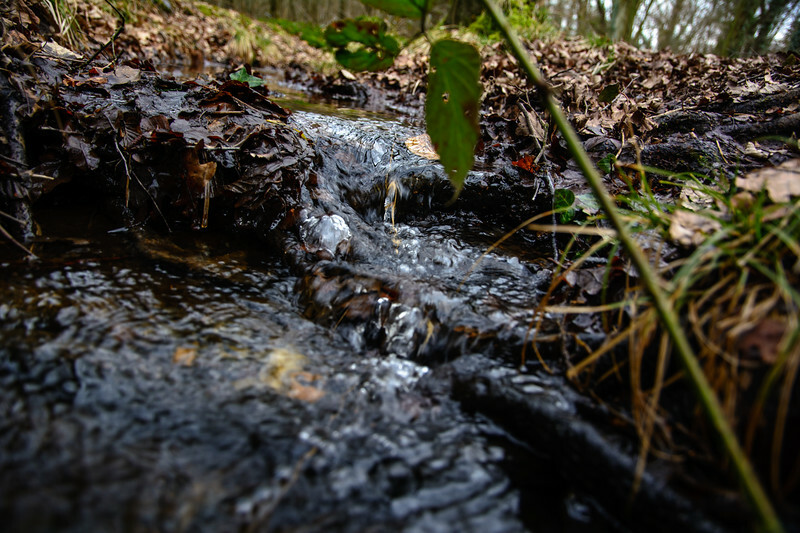 As the terrain has many small hills, the water ditches have some small waterfalls. I tried to get a good look at them. My main problem was, that my daughter had great fun, running through the water ditches with her rubber boots and I had only a very short amount of time before she was in the picture and destroyed the structure, made by the water.